Authentic Jewelry: If you want to do something extra-special for your fiancé, then the best option is to go for the authentic designs. The best part about these authentic designs are that they are unmatchable and every women is just mad about these authentic designs, so why not give her the best gift for a lifetime, and just think about it, this special moment is never really going to come back ever, so why just let it go like that only! Also, these rings can be easily found at any of the pawn shops, so what are you waiting for? Hurry up! Don’t be of this opinion that pawn shops are not good. At times, they are better than the real jewelry stores! Diamonds are not Forever: For the people with bad credit, diamonds are not at all forever! Diamond is the most costliest metal, so why go for such a costly metal when its alternatives are available, that too at the much better prices! Please go and check for the better metals that are available in the market as the alternatives to diamonds. After all, diamonds are not everything and they are no guarantee that you love the partner more! Just go for the alternatives and see the results! Believe it or not, the alternatives to the diamonds are better than the real diamonds! They are not only available in better prices, but are also available in the more attractive colors and specifications than diamonds! Thus, just don’t wait and go for alternatives! But still if you really want to go for that diamond ring, there are many options of loans for people with bad credit, enabling you to buy that perfect ring. Jewelry Stores are Saviors: If you are the victim of the bad credit score then the jewelry stores are your real saviors! These stores have such finance options that they will be able to save you from not buying an engagement ring! 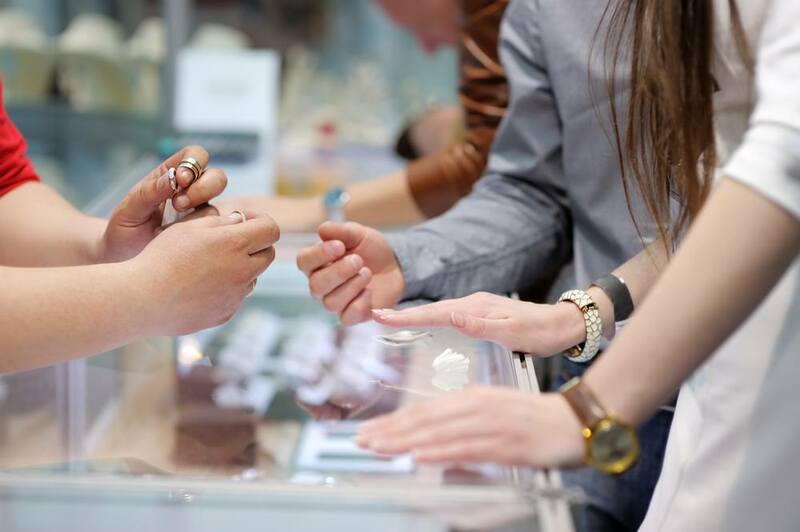 These stores can be really helpful in buying the best engagement ring for you, that too, with the bad credit only, so now, you don’t have to worry about not buying a ring because these jewelry stores are there for your rescue! Just go and search for a proper jewelry store who can be really helpful to you! Remember that these jewelry stores have to be renounced and should be ready to give the legal finance schemes and not just any schemes! You have to search about the jewelry store thoroughly before getting into the store! Be smart! We completely understand that buying an engagement ring can become a nightmare but these tips are definitely going to save you from the hassle of becoming a victim of bad credit! With these tips, you will be able to buy an engagement ring and will be able to stay away from bad credit, but you also have to be smart enough to know how to make use of these helpful tips! These tips can be very helpful once you know how to use them! Thus, all the best for that and hopefully, you will not face any kind of problem in using them.